FOR THE first in an occasional series of articles on Shetlanders “abroad”, Louise Thomason catches up with West Side-raised Gabby Cluness. She is co-founder and co-director of Milk Café, a social enterprise in Glasgow’s southside that seeks to help ethnic minority women to integrate, alongside business partner and friend Angela Ireland. The Milk Café is no ordinary lunch spot. The space is a social enterprise which aims to empower and promote the integration of ethnic minority women who live in Glasgow, offering volunteer opportunities and the chance to learn new skills in a friendly, supportive environment. Plans for the venture began while Gabby, 31, and Angela were living and working in Latin America. 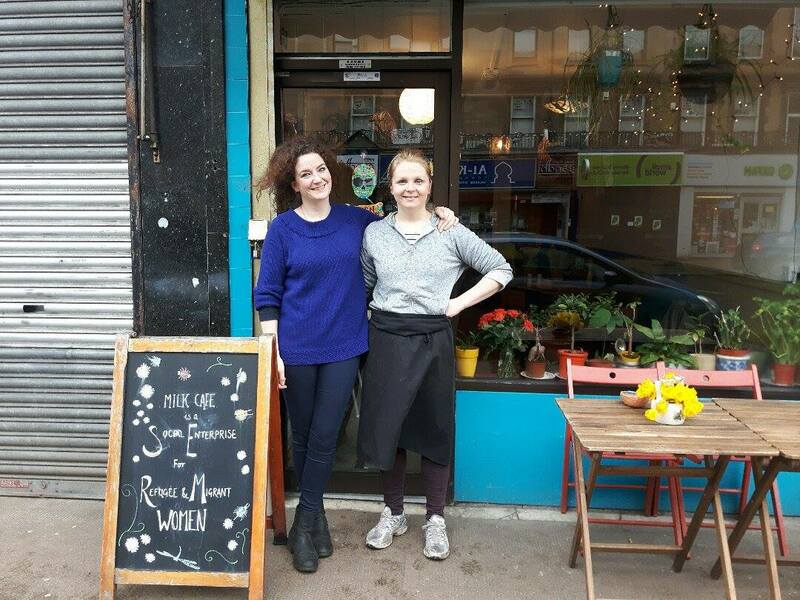 Despite having no catering experience, they were committed to the idea of a social enterprise café and after returning to Glasgow and volunteering with various refugee support groups such as The Bridges Programme, felt that refugee and migrant women “would be a really good fit” for the type of people they wanted to support through running a cafe. They began by establishing Tin Cat, a community interest company, of which Milk is the first project, in June 2014. A year later they had found a venue, and in June 2016 Milk opened its doors. Gabby said: “Neither of us had any catering experience other than being social butterflies who liked the odd dinner party or two. I have always liked cooking but certainly had no real professional kitchen experience. In the short time it has been open, the cafe has provided much more than just food. Milk has become a community hub, providing a place for local Roma children and other people – particularly women – who might otherwise struggle to find opportunities and places to go. As well as offering volunteering opportunities in the cafe, Milk hosts free classes in things like art and sewing. They also arrange regular events, such as open mic nights and pop up restaurants, supporting charities such as Hope Not Hate. The anti-racism charity was the beneficiary of the proceeds Milk made by selling an “ugly and unhealthy” cake in the image of US president Donald Trump after his election in November. These events mean so much more than just a nice way to spend an evening, however: “The art class particularly has been really successful and getting lots of different women together and creating a really special atmosphere. “I think people can be dismissive of making things and crafty stuff, but I think it is so important in Milk, for our volunteers and for the bairns we work with. It doesn’t require any language skills or academic prowess to be able to take part, and the act of creating something is so uplifting and empowering. While the cafe is notable for its social enterprise credentials, Milk is gaining a reputation for brilliant food too, with the volunteers sharing exotic recipes. 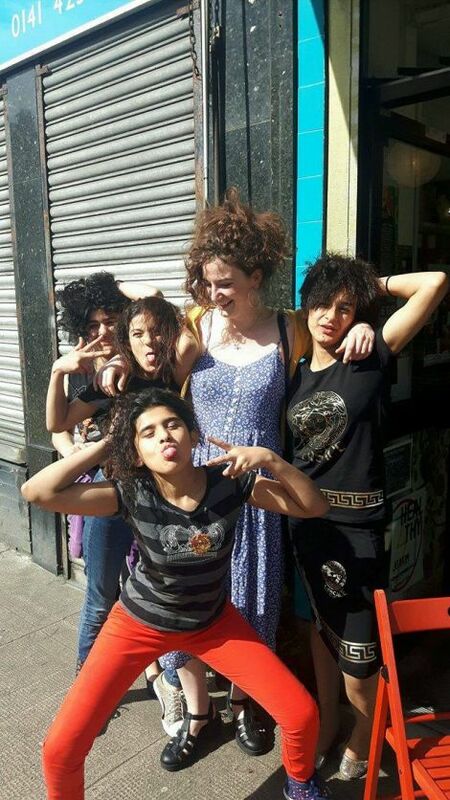 Gabby said: “We had an amazing woman, Valentina, volunteering with us for a long time, who was originally Romanian but had lived in Palestine most of her life. She is one of those cooks who just has to look at something and it tastes [fantastic] … she taught us lots of recipes including a revolutionary hummus (no olive oil!) and a fantastic shakshuka recipe, which is eggs baked in a spicy tomato base. Delicious. The food they use, where possible, also supports local or social enterprise organisations. Their coffee is sourced from a family-run company in Dumbarton, and their bread is baked by social enterprise Freedom Bakery, which trains inmates at HMP Low Moss (on the outskirts of Bishopbriggs) in artisan baking with the intention of finding an industry-related career post-release. “It sounds really smug, but it has been exactly as I hoped, and I am pretty sure Angela feels the same. 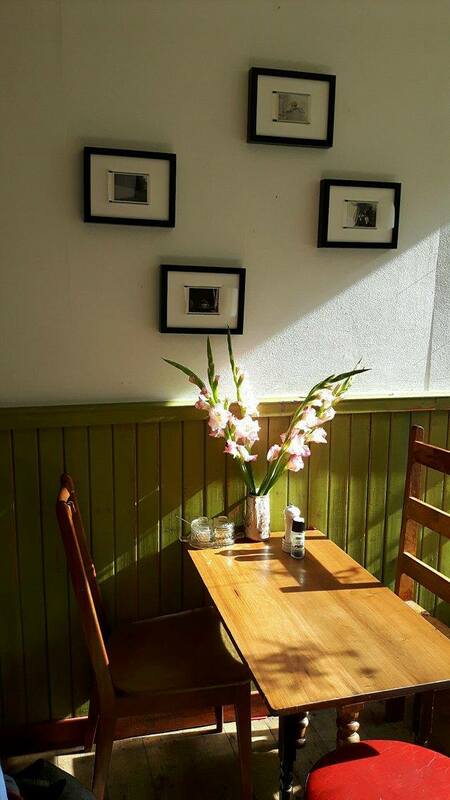 The cafe is just one aspect of Tin Cat, and what Gabby hopes will be the start of more meaningful community based social enterprises: “The cafe format works really well, and it would be wonderful to open one up in the east end of Glasgow tool, as there are large refugee populations living there with not much in the way of community projects.